Home » Blog » Ask the Dentist: Is Teeth Whitening Safe? Many dental patients would like to enjoy a whiter, brighter smile, but may hold back out of uncertainty. There are many teeth whitening options out there – but the question arises: Is teeth whitening safe? And if so, which option is best for your smile? In-office professional whitening: In-office whitening is the fastest, most effective option, offering stunning results in as little as one visit. Take-home trays and bleaching solutions: A take-home system from your dentist is another effective option. Custom-fitted trays fit properly, protecting your gums from the bleaching solution and lessening the likelihood of sensitivity. Over the counter whitening: Over the counter products, such as whitening strips, whitening toothpaste, and brush-on gels are generally regarded as safe for most smiles. However, it’s best to discuss these with your dentist before use. “What is the cause of my discoloration?” Often, tooth discoloration is the result of things such as smoking, aging, or drinking coffee. However, there may be underlying issues that could be to blame, including decay or other problems. If this is the case, the root issues need to be corrected so your smile is healthy for whitening. 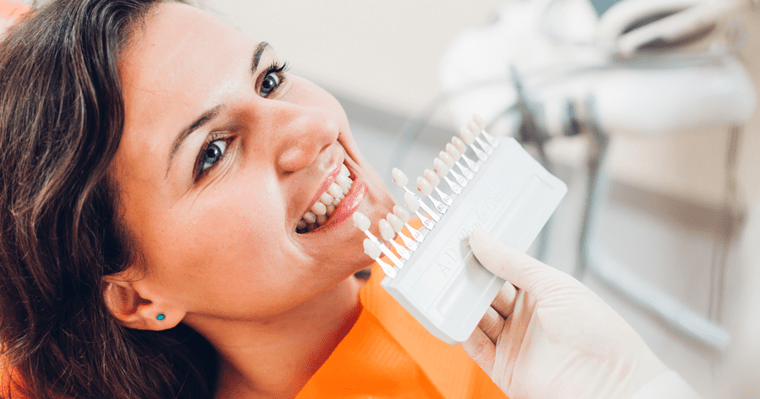 “Will whitening be effective on my current dental work?” Bleaching solutions don’t have an effect on composite materials, so if you’ve had crowns, bonding, or other restorations, whitening the surrounding natural teeth could result in a mismatched smile. “Which whitening option is best for me?” Your dentist is in the best position to evaluate which form of whitening will be most successful for your unique situation, desires, and budget. In conclusion, teeth whitening is a safe, effective solution for a more attractive and youthful smile! However, it’s best to talk candidly with your dentist about the options available as well as your smile goals before choosing which whitening solution is best for you. Call us today at (203) 743-1972 or contact us online for an appointment.